The estate is the residential home of approximately 210 households. It is managed by a board of directors, who are elected by property owners. Estate rules are enforced to ensure a harmonious and neighborly environment, reflecting the village lifestyle of old. The lack of built street-front boundaries and the extensive manicured frontages capture the “inner heart of peace and tranquility” of Irene View Estate. Thanks to the efforts of the residents, the estate has an abundant amount of natural bird, and we are often greeted by the grazing cows across Nellmapius Drive. Situated on a hill overlooking Irene, Centurion and Southdowns the Estate has magnificent vistas of the surrounding countryside and stunning sunset to sunrise views. Excellent private and public schools, sport and recreation facilities and the outstanding Irene Village Mall, Southdowns shopping centre and the Centurion Mall ensure that modern, quality lifestyles are maintained. Top private hospitals, two golf clubs and proximity to excellent and popular office parks further enhance the physical position of the Estate. 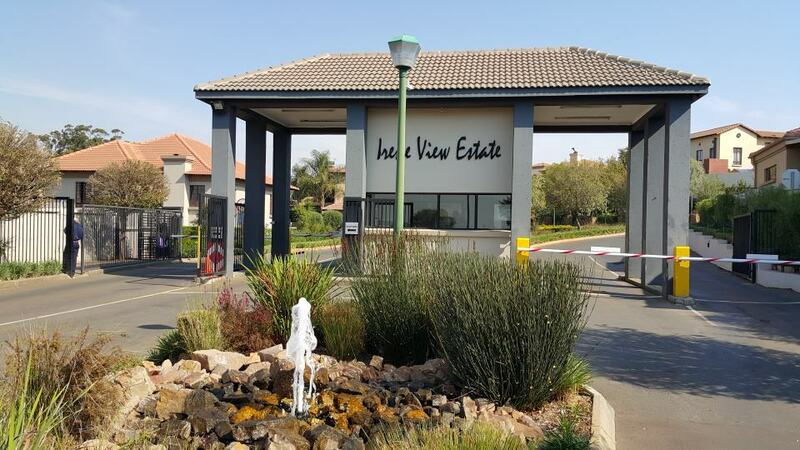 Irene View Estate is understandably a highly desired residential address, where excellent property values are a natural result of this modern yet tranquil oasis. It is an estate where the residents can sleep peacefully at night, knowing that they are safe within a secure perimeter boundary, where ingress and egress is controlled by state of the art technology and an excellent access control system. Professional security guards patrol the streets and the perimeter, both on foot and on golf carts.